The drainage device at the site near the house helps to prevent soil flushing, the formation of excess moisture, and improve the air permeability of the soil (the soil becomes more dry, loose, while maintaining its nutrients). The construction of drainage is excellent for increasing the level of soil fertility and protecting the house from excessive moisture. Every owner of a country cottage or a country house thinks about the drainage system, since it is known that the foundation of any building structure even at relatively shallow depth (1.5-2 m) is regularly exposed to negative effects of groundwater, which can lead to the destruction of the foundation of the building . The most traditional and inexpensive method drainage devices are good old ditches. This method is characteristic of flat terrain and lowlands, that is, where it is difficult to make a slope for the flow of water. The disadvantage of drainage ditches is that they are unpresentable and that they break down over time, become clogged and clogged. Surface surface drainage. For its design, it is necessary to make a preliminary planning of the site, including work on creating slopes from buildings, pits and trenches. 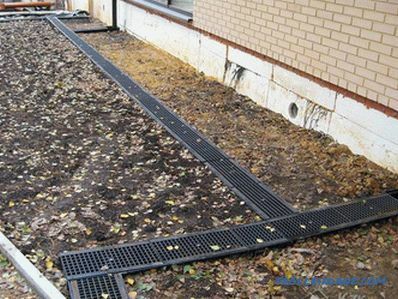 Surface drainage is installed at a distance from buildings. Deep wall drainage. In this case, special pipes and materials are used to equip drainage in close proximity to the foundation of the walls of the building (along the perimeter). 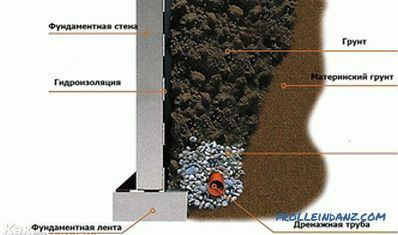 To date, wall deep drainage The foundation is considered the most effective. 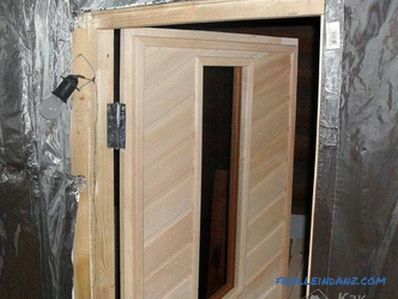 Its main function is to prevent flooding of the foundation of the house and its basement. The Contour drainage system . The pipes are located along the perimeter of the protected building, close enough to all the outer sides of the foundation of the house. This drainage system includes corrugated perforated pipes, special facilities for water discharge and drainage wells. 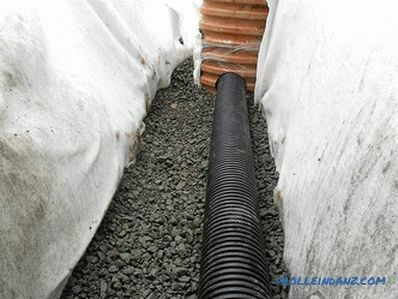 A gravel and sand filter is created around the perforated pipe. Stiffeners contribute to an increase in the safety margin in cross section along the entire length of thin-walled pipes, which allows them, while remaining light, to withstand decent loads at a depth of up to 10m. The device drainage pipes should be made with a slight bias. Modern drainage pipes are made of polyvinyl chloride with a diameter of 5 to 20 cm. 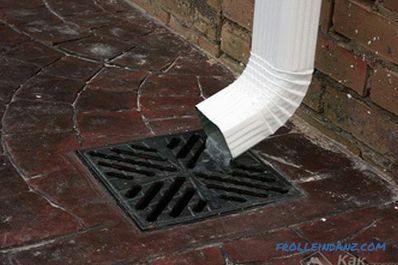 Perforation of drainage pipes prevents penetration into the material used for dusting the drainage system. 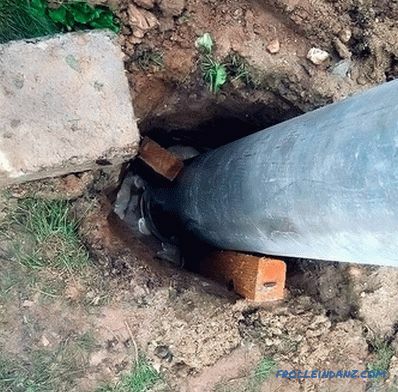 The area of ​​the holes should not exceed 0.5% of the surface area of ​​the pipe. 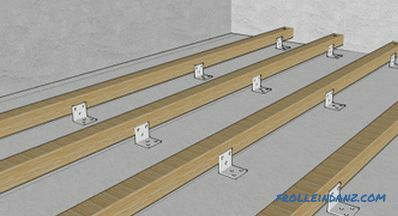 Due to a number of advantages, polymer drainage pipes that have appeared not so long ago on the construction market have radically influenced the design of drainage systems. Plastic pipes are durable and lightweight, flexible and at the same time tough. Laying the drainage system of PVC pipes can be up to a depth of 8m. Since the drainage polymer pipes, being in the ground, are completely protected from the sun's rays, this significantly increases the lifetime of the polymer drainage (over 50 years). The depth of the drainage device is determined by your requirements for the level of groundwater reduction, as well as the type and system of drainage. 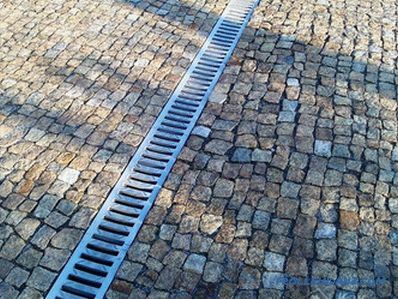 Often there is enough surface drainage, it is only important to choose the right waterproofing and correctly apply it. 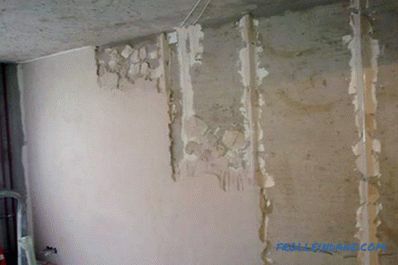 Waterproofing is also used in sealing joints of joints and joints of pipes and wells. Granite rubble or gravel is well suited for sprinkling drainage. Lime rubble with sand-gravel mixture is not suitable for sprinkling drainage, since under the influence of water they can clog up the voids of the soil and the holes in the pipes. 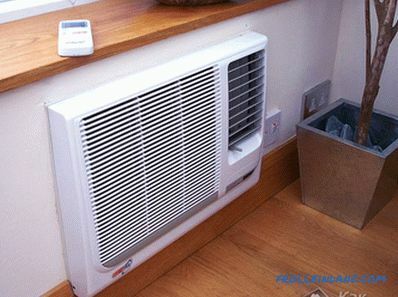 The size of the filter particles should be larger than 10 times the size of the soil particles. The purpose of the drainage wells is to monitor the proper operation of the drainage and cleaning drainage routes. The location of the wells must coincide with the points of change in the diameter, direction and slope of the drainage pipes. As a rule, they are located at the lowest point of the garden plot. Drainage wells are prefabricated structures made of plastic elements.Layers of rubble and sand or broken bricks fall asleep inside the wells, and sod is placed on top of the formed layer, which will have to prevent the filling from forming a layer of silt. According to the technology, the excess water discharged into the drainage well must go to the lower soil layers through the backfill, or be pumped out of the boundaries of the site of development by a drainage pump. Experts recommend simultaneously with the drainage works to carry out the installation of various engineering networks. how to find water in the area for the well.